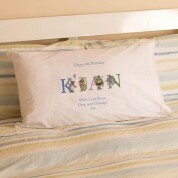 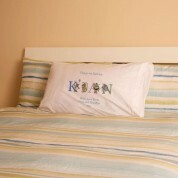 This personalised birthday illustrated name pillowcase is the perfect unique gift for any birthday boy. Every letter of his name will have a different character to match it, such as D for Dancing Dog and J for Jammy Jaguar. The illustrations were originally hand drawn, and every name is put together by a graphic designer, to allow the pillowcases to look their best. Any multiple letters in a single name will have different illustrations. It is personalised with 'Happy (age) Birthday' at the top of the pillowcase, the recipient's first name (up to 12 characters long), and a short personal message below it. This unique design will stand out in his bedroom, and he will love recognising his own name on it, with all the different animals. 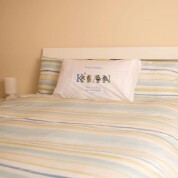 Pillowcase Features: *White pillowcase *High quality super soft pillowcase *Each pillowcase is luxury Egyptian cotton *Our printing method leaves the text soft to touch so there is no 'rubbery' feel to the print *Measurements: 50x75cm so it fits any standard sized pillow *Machine washable at 35 to get the most out of your printed pillowcase. 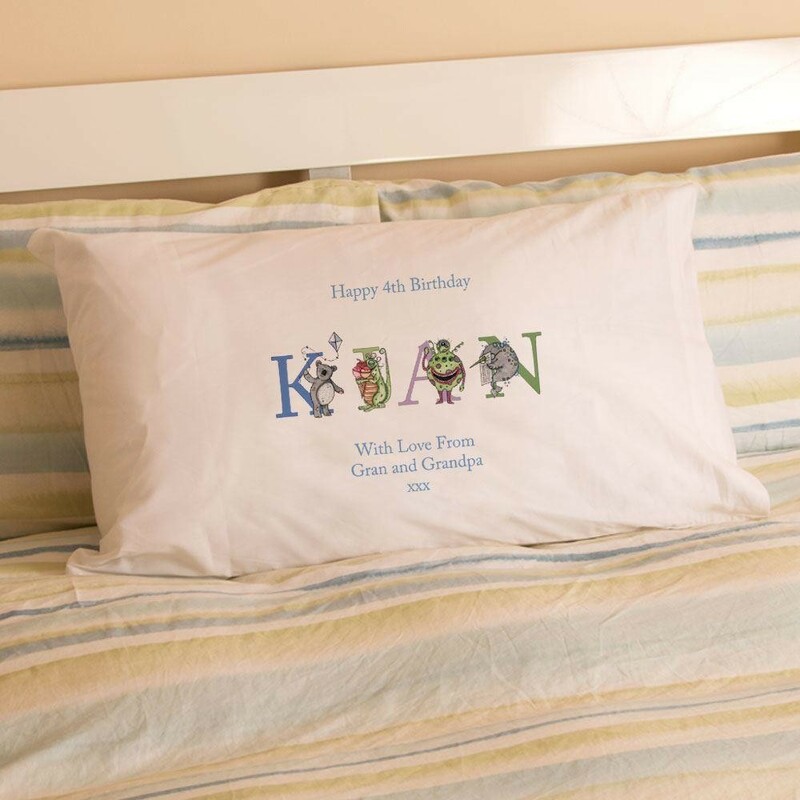 This design is available for ages between 2-10 so choose which age you require from the drop down menu (there is also a separate listing for 1st birthday in 1st birthday gifts).